To mark the Prince of Wales' 70th birthday, we present an image from the Press Association archives from every year of his life. 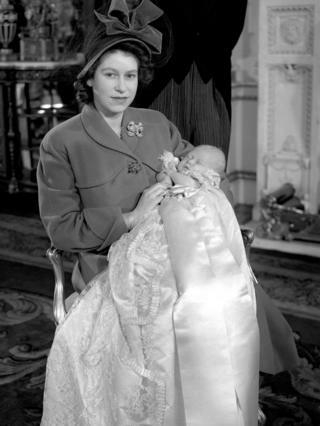 Image caption Charles Philip Arthur George was born on 14 November 1948, five years before his mother was crowned Queen. 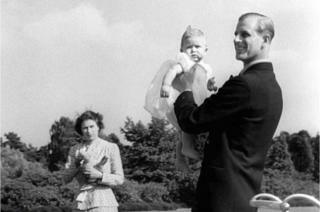 Image caption Prince Charles with his father, the Duke of Edinburgh, in the grounds of Windlesham Moor, the country home in Surrey of Princess Elizabeth and the duke at that time. 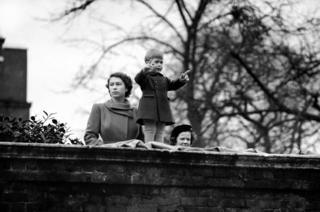 Image caption Charles and his mother watch as a procession including Queen Juliana and Prince Bernhard of the Netherlands passes Clarence House. 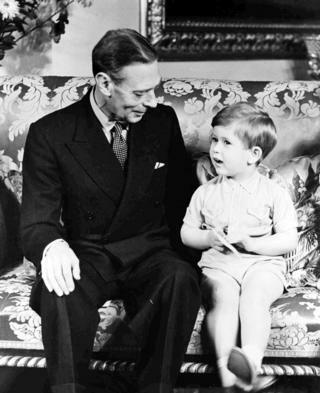 Image caption King George VI with his grandson Prince Charles celebrating his third birthday at Buckingham Palace. 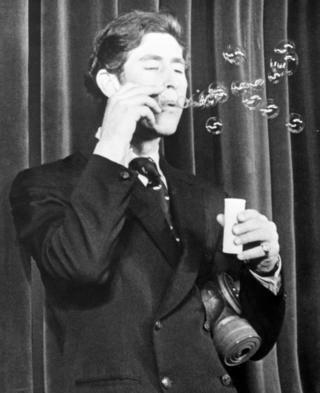 It was the first photograph of the King taken after his lung operation in September. 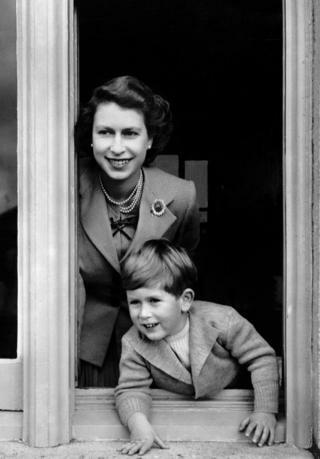 Image caption Prince Charles keeping a lookout on his fourth birthday with his mother, who was by then Queen Elizabeth II. 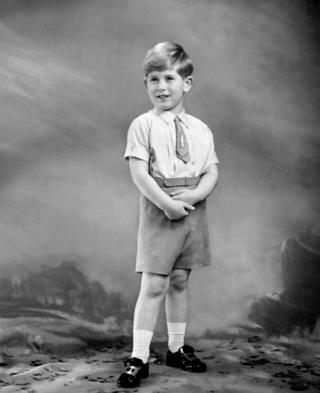 Image caption Fifth birthday portrait of Prince Charles. 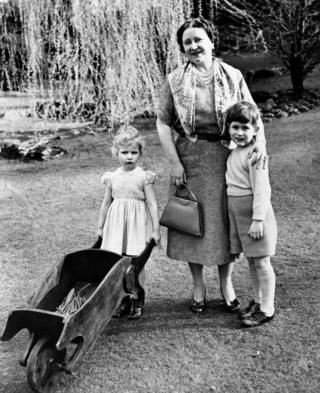 Image caption Princess Anne and Prince Charles with their grandmother, Queen Elizabeth, the Queen Mother, in the grounds of the Royal Lodge, Windsor, Berkshire. 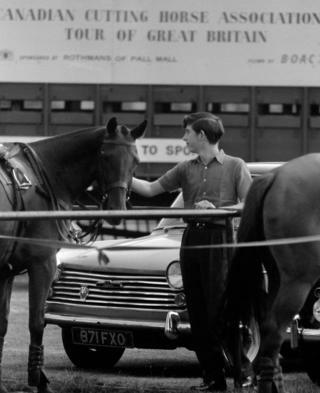 The picture was taken shortly before they left for Tobruk, Libya, to join their parents the Queen and the Duke of Edinburgh, homeward bound from the Commonwealth tour. 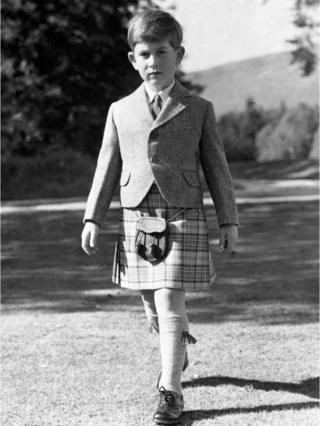 Image caption Prince Charles pictured for his seventh birthday. 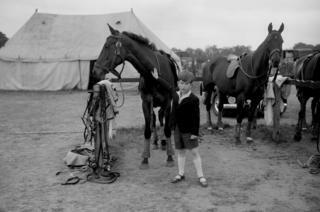 Image caption Charles with the ponies at Smith's Lawn, Windsor Great Park, where his father, the Duke of Edinburgh, was playing polo. 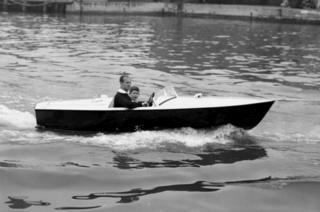 Image caption The prince with his father, the Duke of Edinburgh, at the wheel, as they take a motorboat ride up the River Medina at Cowes, Isle of Wight. 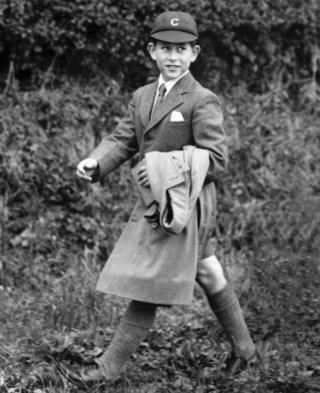 Image caption Prince Charles on his way to Cheam School, in Berkshire. He was educated at home until the age of eight. 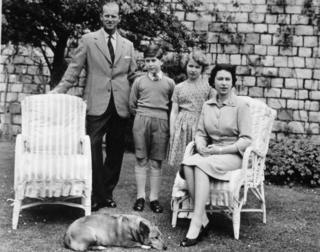 Image caption A family portrait at Windsor Castle. With them is Sugar, one of the Queen's pet corgis. 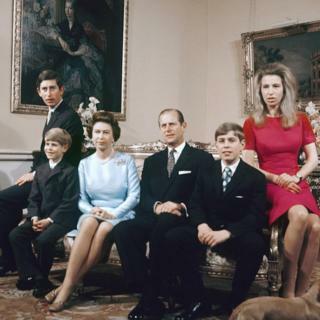 Image caption Prince Charles and Princess Anne now have a baby brother, Prince Andrew. 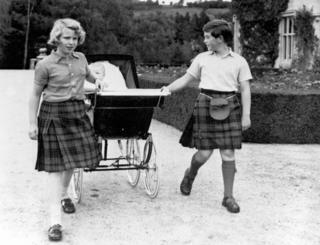 Here, they take him for a walk in the grounds at Balmoral. 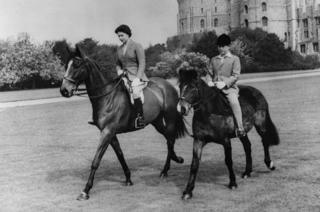 Image caption Out riding at Windsor Castle with his mother, the Queen. 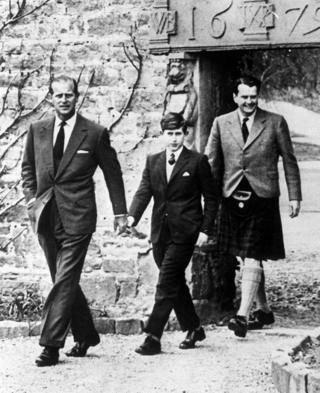 Image caption Prince Charles arrives at his new school, Gordonstoun, alongside his father, the Duke of Edinburgh (left), and Capt Iain Tennant, who chaired the board of governors. 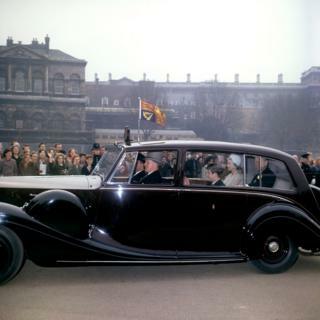 Image caption The Royal Family on their way to Westminster Abbey for the wedding of Princess Alexandra and Angus Ogilvy. Image caption Prince Charles, who had recently recovered from pneumonia in an Aberdeen nursing home, at Windsor Great Park. 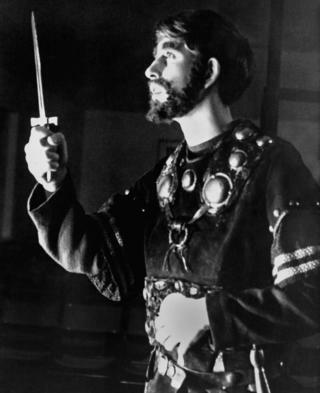 Image caption Prince Charles as Macbeth in the Gordonstoun School production of the Shakespeare play. His parents were in the audience with other parents to watch the final performance. 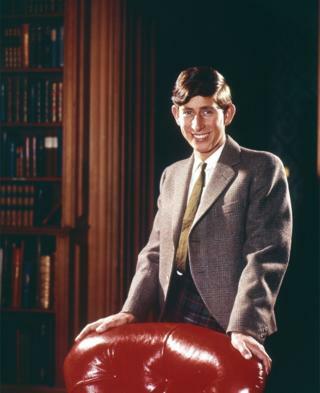 Image caption A portrait of Prince Charles wearing the Balmoral tartan, commissioned for his 18th birthday. 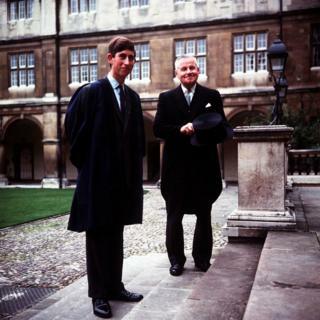 Image caption Prince Charles, wearing the Trinity gown of blue silk with black facings, accompanied by head porter Mr Bill Edwards posing on the steps of Neville Court, Cambridge University. The prince was in Cambridge to take up studies in archaeology and anthropology. 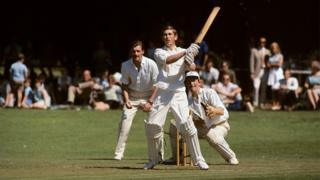 Image caption Prince Charles batting for Lord Brabourne's XI against a team of racing drivers, including Graham Hill, at Mersham, near Ashford, Kent. 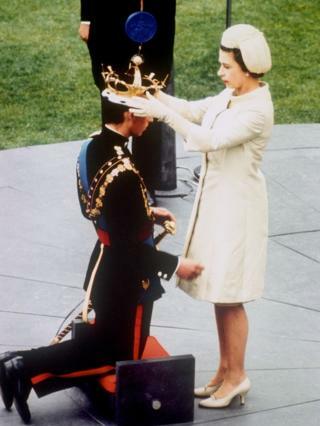 Image caption Queen Elizabeth II investing her son, Prince Charles, as the Prince of Wales during a ceremony at Caernarfon castle. Image caption Charles playing the role of a weatherman in rehearsals for a sketch for the Dryden Society's Trinity College revue at Cambridge University. 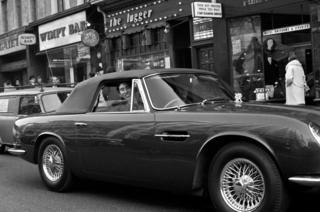 Image caption Behind the wheel of his Aston Martin DB6 convertible sports car on London's Strand after visiting the Press Association in Fleet Street. 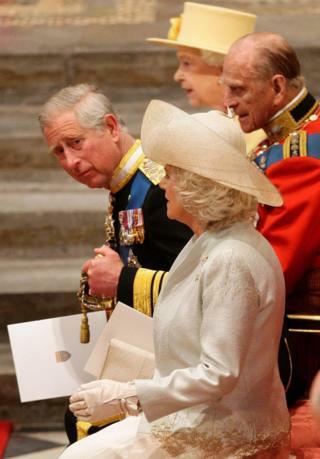 Image caption The Royal Family at Buckingham Palace. 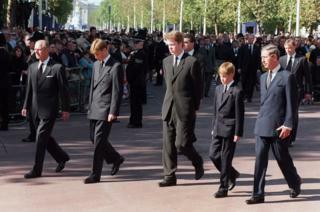 Prince Charles, Princess Anne and Prince Andrew have now been joined by a younger brother, Prince Edward. 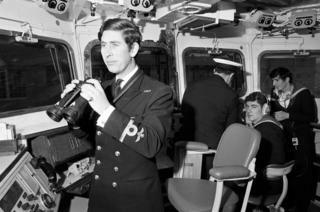 Image caption By 1973 Prince Charles was a sub-lieutenant in the Royal Navy, here on the bridge of the frigate Minerva at Devonport before leaving for routine patrols and exercise around the West Indies. 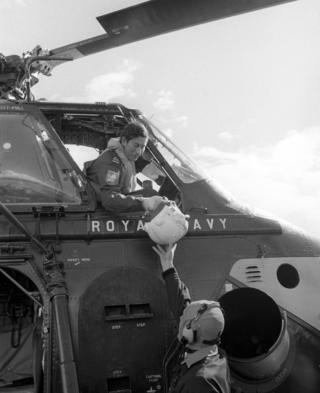 Image caption A year later, he is about to set off on his first "dual control" flight, with instructor Lt Cdr Alan MacGregor in a Royal Navy Wessex V helicopter. 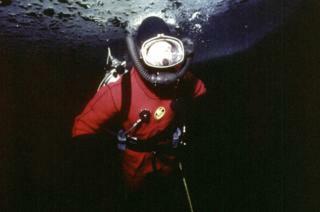 Image caption Under the Arctic ice at Resolute Bay, Canada. 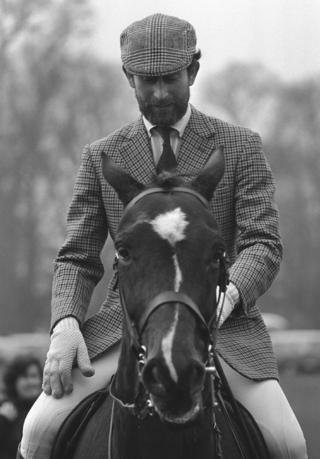 Image caption Sporting a new beard at the Badminton Horse Trials. 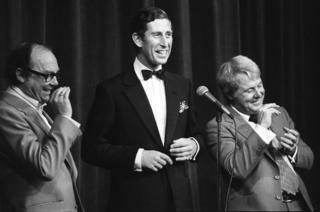 Image caption Comedy duo Morecambe and Wise shared the stage with Prince Charles during their special Royal Charity Show in aid of the Queen's Jubilee Appeal. Image caption Taking to the water, Prince Charles windsurfing during Regatta Week at Cowes on the Isle of Wight. 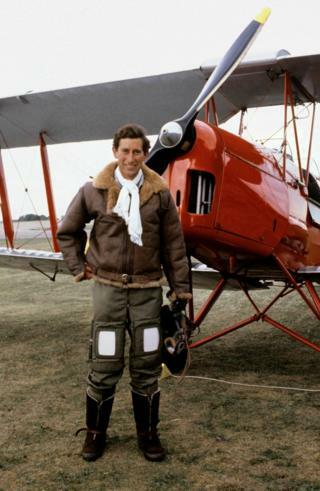 Image caption In 1979, Prince Charles fulfilled an ambition to fly a pre-War Tiger Moth biplane, when he took to the skies over RAF Benson in Oxfordshire. 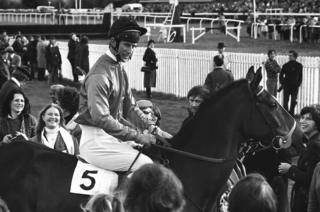 Image caption Charles on his 10-year-old Irish chaser, Allibar, at Ludlow, where he finished second in an amateur riders' steeplechase. 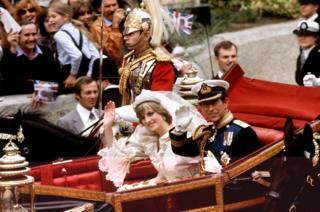 Image caption Newlyweds, Prince Charles and his bride, Diana, Princess of Wales, make their way to Buckingham Palace after their wedding ceremony at St Paul's Cathedral in London. 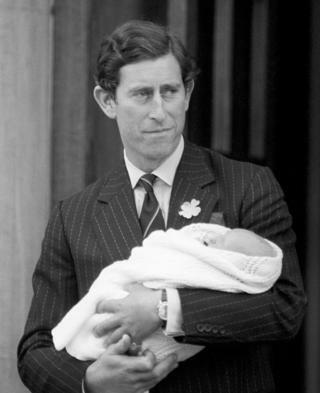 Image caption In 1982 Prince Charles's first child, Prince William, was born. 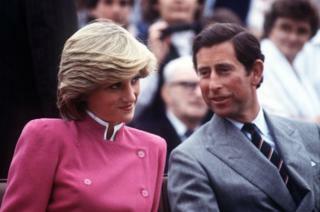 Image caption The Prince and Princess Of Wales during a visit to Montague, Prince Edward Island, Canada. 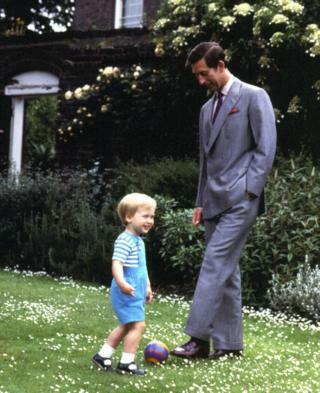 Image caption Prince Charles plays with his son Prince William in the garden of their home, Kensington Palace. 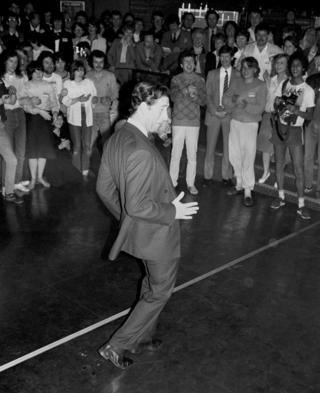 Image caption To the delight of youngsters at a discotheque in Middleton-on-Sea, Sussex, Prince Charles tries his hand at break-dancing. The event was organised by the Prince's Trust. Image caption Prince Charles receives a prize and kiss from his wife after playing for the England II team against Chile, at the Cartier International Polo Spectacular at the Guards Polo Club in Windsor Great Park, Berkshire. 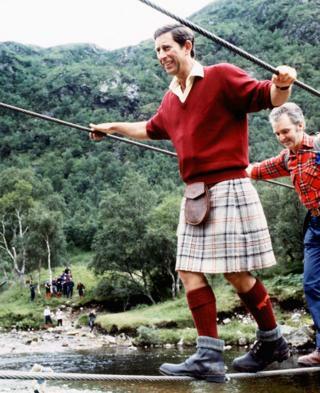 Image caption Prince Charles makes his way across a bridge during a trek in the foothills of Ben Nevis with the Lochaber Mountain Rescue Team. 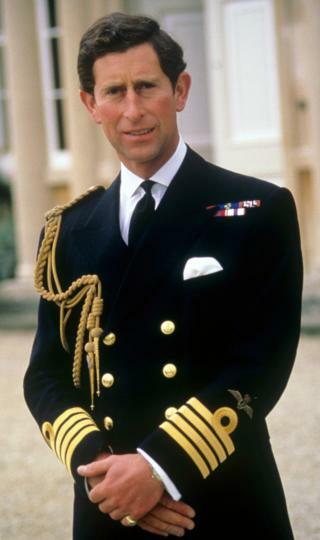 Image caption The prince wearing his new Royal Navy captain's uniform on his 40th birthday. Image caption Prince Harry has now joined the family. 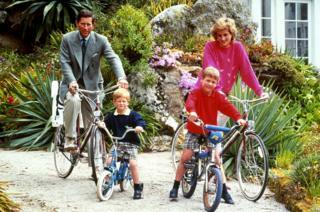 They are seen here on holiday in Tresco, Scilly Isles. 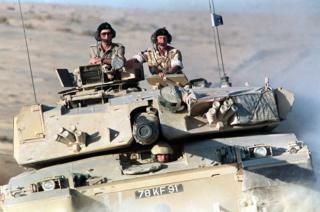 Image caption While on a visit to British troops in Dhahran, Saudi Arabia, Prince Charles was given a ride in a Challenger tank by the Royal Scots Dragoon Guards. 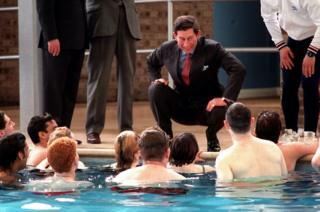 Image caption In 1991, he visited a group of unemployed youths taking part in the Prince's Trust scheme, in Caister-On-Sea, Norfolk. 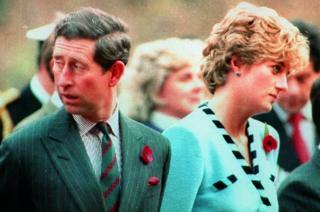 Image caption Prince Charles and Diana, Princess of Wales, are seen during a visit to a memorial to the Gloucester Regiment, who fought with distinction in 1951 during the Korean War, near Seoul, South Korea. It was in 1992 they split, formally divorcing in July 1996, citing "irreconcilable differences". 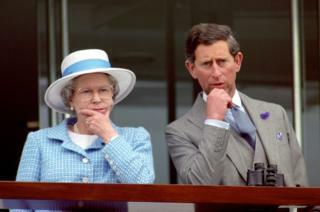 Image caption Prince Charles and his mother watch the racing at Epsom on the 40th anniversary of the Queen's coronation. 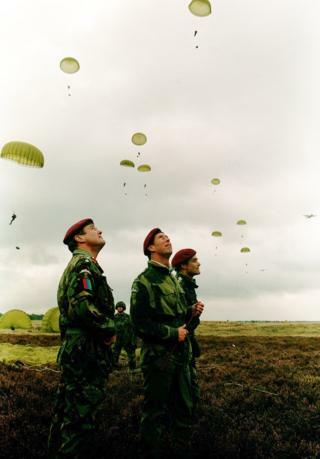 Image caption British paratroopers land on Ginkel Heath to mark the 50th anniversary of the Battle of Arnhem, as Prince Charles looks on. 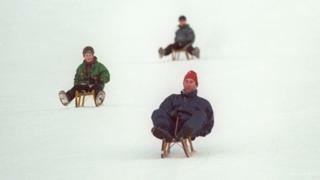 Image caption Prince Charles leads his two sons during a toboggan race on the slopes outside their hotel in the Swiss resort of Klosters. 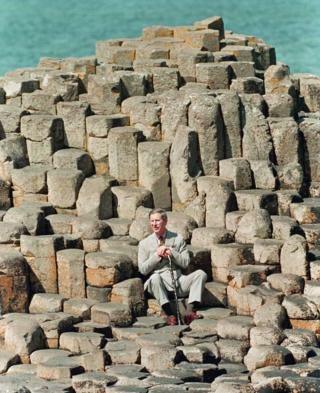 Image caption Charles is seen on his own on the Giant's Wishing Chair at the Giant's Causeway, Co Antrim. Image caption The Duke of Edinburgh, Prince William, Earl Spencer, Prince Harry and the Prince of Wales turn on to Horse Guards Parade as they follow behind the coffin of Diana, Princess of Wales, during the funeral procession to Westminster Abbey. Following the death of the princess in a car crash in Paris, in 1997, the prince insisted that she be given a royal funeral. 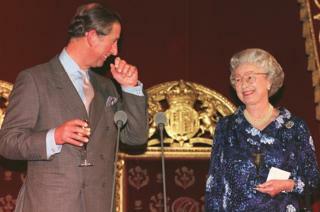 Image caption He celebrated his 50th birthday in 1998, with his mother, the Queen, at a reception in his honour at Buckingham Palace. 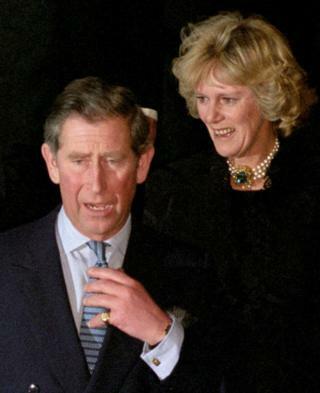 Image caption A year later, Prince Charles was seen in public for the first time with Camilla Parker Bowles, who later became his wife. 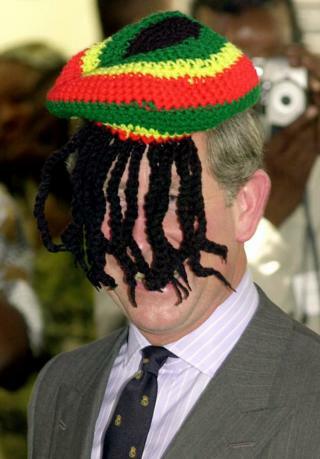 Image caption During a tour of the Caribbean, Prince Charles donned a rasta cap, causing much laughter among the locals at the Trenchtown community centre in Kingston, Jamaica. 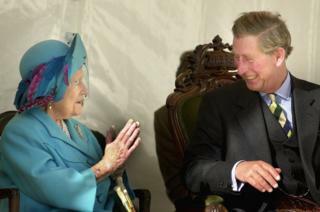 Image caption Prince Charles and his grandmother, Queen Elizabeth, the Queen Mother, were very close and here he shares a joke with her during the unveiling of an Aberdeen Angus sculpture at the Grampian Transport Museum in Aberdeenshire. 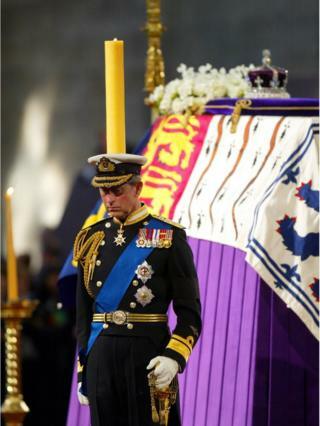 Image caption In 2002, the prince stood vigil at his grandmother's coffin in Westminster Hall in London on the eve of her funeral. 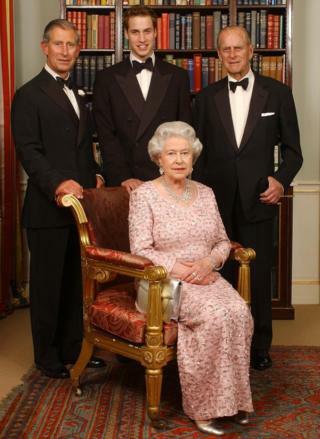 Image caption Three generations of the British Royal family - Queen Elizabeth II and her husband, the Duke of Edinburgh, their eldest son, the Prince of Wales, and his elder son, Prince William, at Clarence House in London before a dinner to mark the 50th anniversary of her coronation. 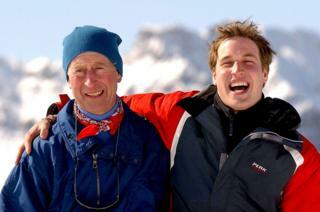 Image caption Prince Charles and his elder son, Prince William, share a joke with the media on the Madrisa ski slopes, above the Swiss village of Klosters. 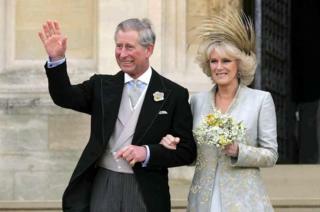 Image caption In 2005, the Prince of Wales married Camilla Parker Bowles, who became the Duchess of Cornwall, at Windsor's Guildhall. Image caption The Prince of Wales and the Duchess of Cornwall with his sons, Prince William and Prince Harry, at Sandhurst Royal Military Academy after the Sovereign's Parade that marked the completion of Prince Harry's officer training. Image caption In 2007, Queen Elizabeth II and the Duke of Edinburgh celebrated their diamond wedding anniversary. 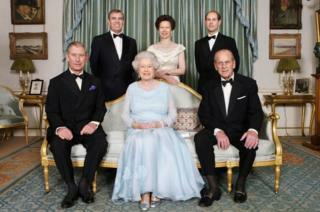 Here, the family pose for a picture before a formal dinner. 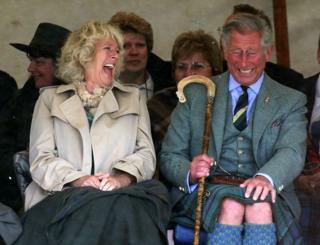 Image caption Prince Charles and his wife enjoy the Mey Highland Games in Caithness. 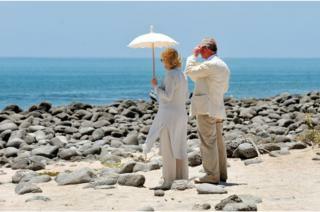 Image caption The Prince of Wales and the Duchess of Cornwall on the Beach of North Seymour Island, which is part of the Galapagos Islands, in the Pacific Ocean. 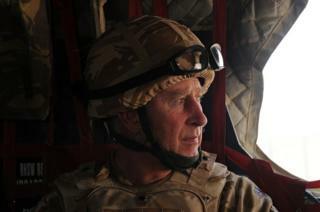 Image caption The Prince of Wales looks through the window of a British military helicopter as he travels to Lashkar Gah, Afghanistan. 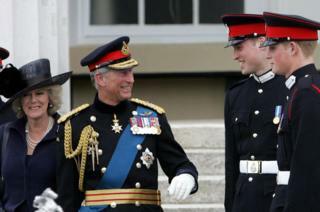 Image caption In 2011, his elder son, Prince William, married Kate Middleton. Here, the prince sits with the Duchess of Cornwall and his parents in Westminster Abbey waiting for the ceremony to begin. 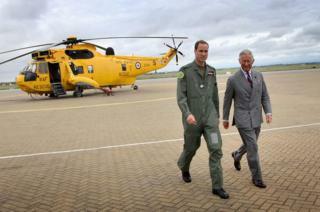 Image caption Prince William, now the Duke of Cambridge, shows his father one of the Sea King helicopters he captains at RAF Valley on Anglesey. Image caption The prince and duchess host a reception for the Elephant Family, a charity working to save the Asian elephant from extinction in the wild. 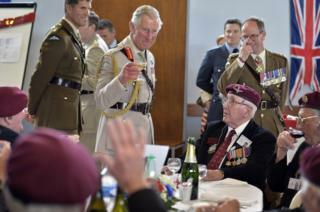 Image caption The prince raises a glass to D-Day veterans at a community centre in Ranville, Normandy, as part of the 70th anniversary of the D-Day campaign. 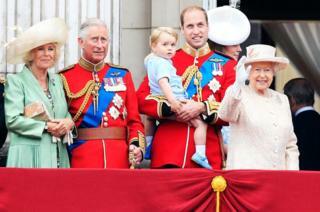 Image caption The Duchess of Cornwall, the Prince of Wales, Prince George, the Duke and Duchess of Cambridge and Queen Elizabeth II on the balcony at Buckingham Palace following Trooping the Colour at Horse Guards Parade. 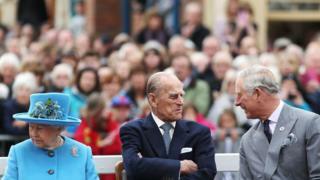 Image caption Queen Elizabeth II, the Duke of Edinburgh and the Prince of Wales in Poundbury, his model town in Dorset. Prince Charles designed the village on the outskirts of Dorchester after outlining his plan in his 1989 book, A Vision of Britain. 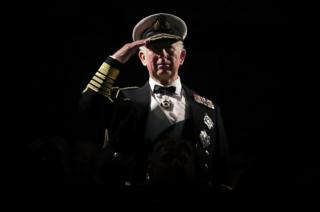 Image caption The Prince of Wales, known as the Duke of Rothesay in Scotland, takes the salute during the Royal Edinburgh Military Tattoo at Edinburgh Castle. Image caption And one for luck, the 71st image that brings us up to date. 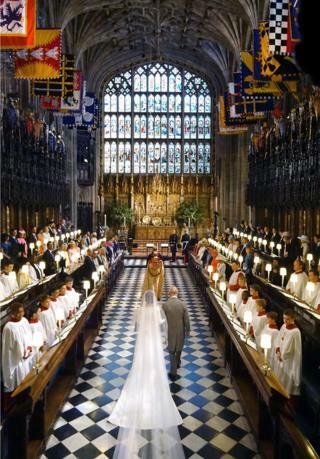 The Prince of Wales walks Meghan Markle up the aisle of St George's Chapel at Windsor Castle for her wedding to his son Prince Harry. Image caption But why stop now? 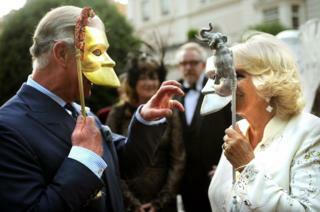 Here is one more picture released to mark Prince Charles' birthday. 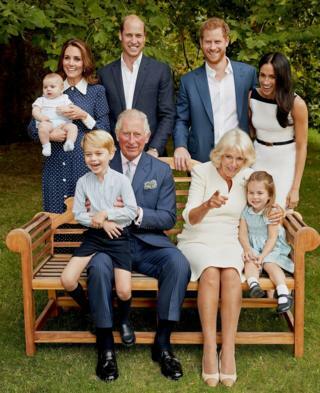 It shows three generations of royals, as Charles sits with his wife, children and grandchildren.